The Black Death is one of the most important events in Western history and is the most famous pandemic in all of human history. A pandemic is the term used to describe the spread of an infectious disease over a wide area including the entire planet. The Black Death occurred during the 14th century and ravaged human populations throughout Asia and Europe as it spread along trade routes and through trading ports. Throughout history it has also been referred to as the ‘Great Mortality’ and ‘Great Pestilence’. It is significant as an event during the Middle Ages and the Renaissance. The Black Death is the term that historians use to describe the spread of the bubonic plague. It is believed that the plague first began in Central Asia and spread to Europe through vast trade routes such as the Silk Road. 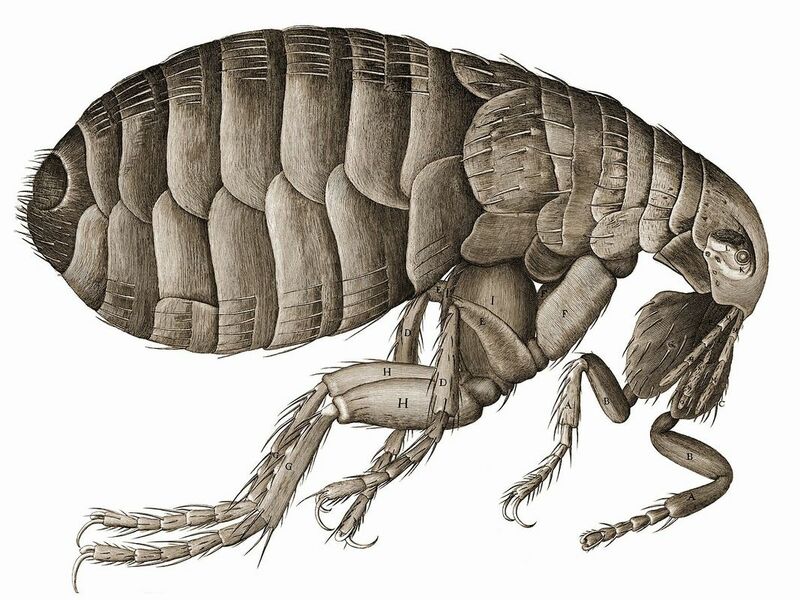 Historians studying the spread of the plague discovered that the disease was spread by fleas that are commonly found on rodents such as rats and mice. As such, it is now understood that the plague spread via trade routes as the rodents travelled in caravans and on merchant ships. For instance, the first example of the plague arriving in Europe dates from 1347 when a Genoese merchant ship arrived in Sicily. The merchants on the ship were suffering from the effects of the plague, which included: flu-like symptoms, black and painful lumps that oozed blood and pus, and vomiting. The traders had just returned from a port city on the Crimean Peninsula in the Black Sea. While there they had encountered Mongol raiders which they supposedly received the disease from. 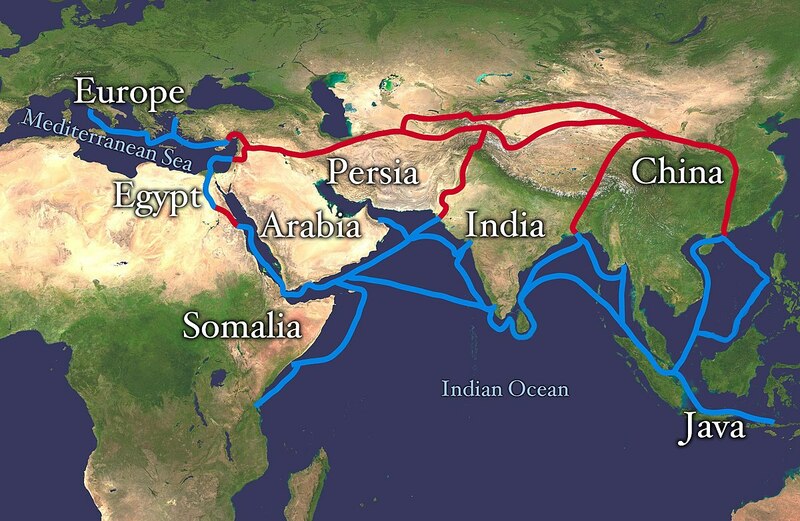 The Silk Road was important to the spread of the plague. Shortly after its arrival in Sicily the plague spread throughout the rest of Europe. For example, in January of 1348, there was a major outbreak of the disease in Pisa, Italy which then allowed the disease to spread to Northern Italy. From there it travelled along trade routes and on trading ships to other regions of Europe, such as: France, England, Germany, Spain, Portugal and Russia. For instance, the plague arrived in Russia in 1351. The only European communities that seemed to withstand the wrath of the plague were ones which relied less on trade with their neighbors, thus limiting their exposure to other groups of people. The death toll of the Black Death is a debated topic and different historians have offered different views on the issue. Regardless, the reported death tolls are massive with some suggesting that it resulted in the deaths of between 75 and 200 million people in Europe and Asia. These high numbers suggest that between 30% and 60% of people died due to the infectious disease. Some regions suffered more than others, but in general it is widely accepted that approximately half of Europeans died as a result of the disease. For example, it has been recorded that both Paris, France and London, England saw half of their populations succumb to the pandemic. The Black Death also had devastating results in the Middle East and Asia with equally dramatic death tolls. 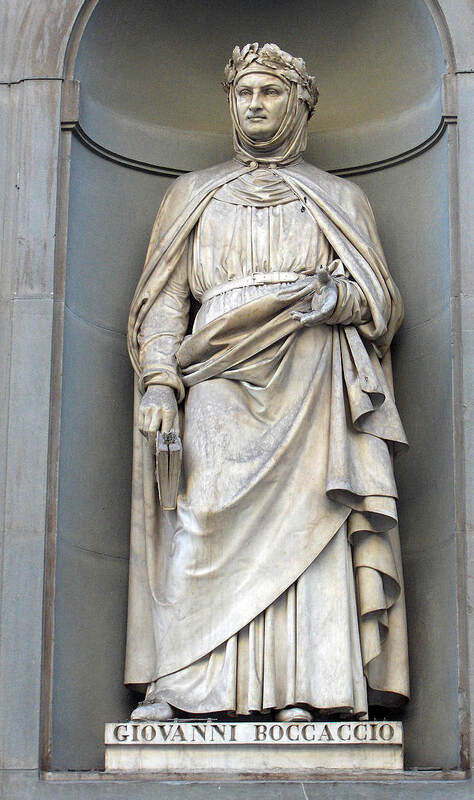 The plague of Florence in 1348. The death tolls were so high due to several factors. First, hygiene played a crucial role in the spread of the disease. Europe in the Middle Ages lacked the modern conveniences of sanitation and running water. Instead, human filth was often just dumped in the street. This situation caused rodents such as rats and mice to flourish which helped spread the fleas that carried the plague with them. As such, crowded cities and towns were often havens for the plague since it attracted rodents that were drawn to human activity. The second factor that caused the plague to lead to such high death tolls was the lack of understanding of the disease on the part of Europeans and doctors. At the time, there was little understanding of the connection between hygiene and disease. As a result, there were several different theories on the cause and spread of the diseases, which were all ultimately incorrect. For example, during the Middle Ages, many medical doctors believed that human health was related to the movement of the planets in our solar system. As such, many related the spread of the plague to the rotation of the planets including Mars and Jupiter. Another common belief about the plague was that it was spread by certain ethnic groups. For example, immigrant groups and Jewish people were often blamed for the spread of the disease and were persecuted as a result. Next, some believed that the plague was a result of God’s will and was punishment for the actions of people. As such, many people turned to their faith during the crisis. The lack of medical understanding during the time is evidenced by the remedies or cures that people believed would work. For instance, some believed that the plague was spread by “bad air” and thought that they could cleanse the air with the burning of incense. This belief led to doctors of the period wearing strange outfits with masks that looked like the beak of a bird. Believing that the plague was spread through the air, the doctors would fill the nose area of the mask with incense in order to overpower the “bad air”. However, it also served to mask the smell of death, which was a common reality due to the large number of dead. The bubonic plague was spread when infected fleas from rodents bit human beings. In reality, the bubonic plague was spread when infected fleas from rodents bit human beings and the disease entered their bodies. As stated earlier, the plague had several main symptoms. The primary symptom was the black lumps that grew in the infected person’s armpits and groin. This was caused when the bacteria of the disease inflamed lymph nodes in the body. The lumps would become large and after a period of time would often ooze pus and blood. Another common symptom of the plague was gangrene fingers and toes. This meant that the disease killed the area around the fingers and toes and effectively caused them to die. As the disease took hold, several other symptoms were common including: fever, cramps, seizures, vomiting, extreme pain and difficulty breathing. Often, those that were infected died soon after in just a matter of days. 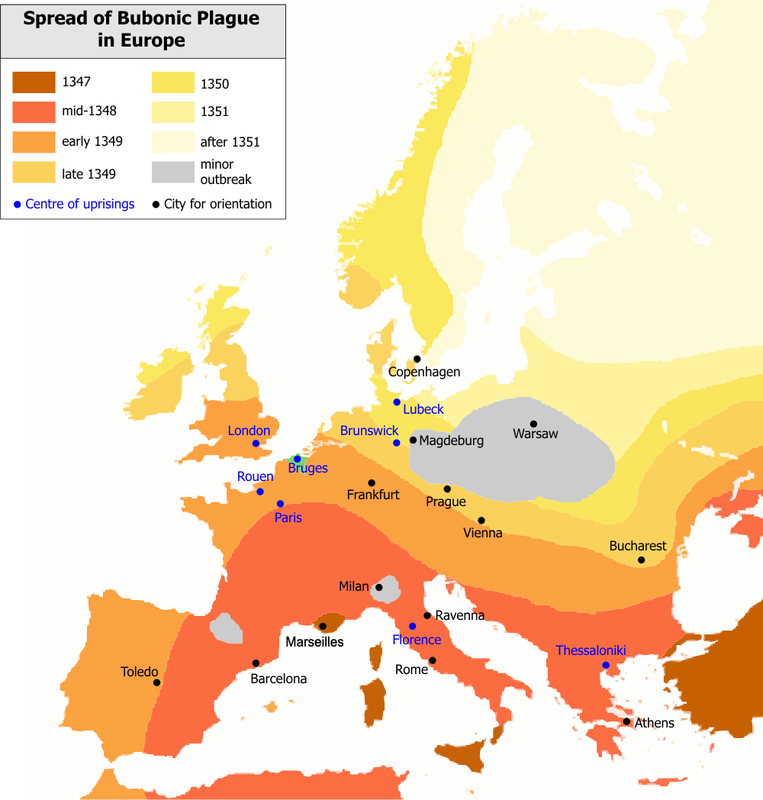 While many focus on the effects of the initial outbreak of the plague, it is important to understand that the plague swept through Europe several times over hundreds of years. For instance, it reappeared across Europe at least six times in just over 50 years after first arriving in 1347. In fact, some historians have noted that Europe was impacted in some part by the plague every year until the 17th century. Each time the plague swept through it ravaged the area and left large portions of the population dead. This continual crisis left Europe (and other areas) with several different impacts. The first main impact of the Black Death was the sheer number of people that died. Historians agree that Europe’s population dropped by half in the first several decades of the Black Death, and this had a huge impact on social and family life for communities throughout Europe. For example, because people did not have a clear understanding of the causes of the plague they often went to the aid of their family members that became ill. This, of course, led to the caretakers also becoming sick after being bitten by the infected fleas. As such, people soon learned to avoid those that were showing symptoms of the plague. This situation meant that families and whole communities were often ripped apart as they tried to avoid the disease. As well, communal activities such as gathering for church and trading in marketplaces became difficult and dangerous. For example, the following excerpt from Giovanni Boccaccio, an Italian writer who lived from 1313-1375, shows the desperate situation of the time. ​“Tedious were it to recount, how citizen avoided citizen, how among neighbors was scarce found any that showed fellow-feeling for another, how kinsfolk held aloof, and never met, or but rarely; enough that this sore affliction entered so deep into the minds of men a women, that in the horror thereof brother was forsaken by brother nephew by uncle, brother by sister, and oftentimes husband by wife: nay, what is more, and scarcely to be believed, fathers and mothers were found to abandon their own children, untended, unvisited, to their fate, as if they had been strangers.” Furthermore, the massive death tolls and the growing fear of people to deal with those that are sick meant that the bodies of the dead literally collected in homes and on streets. In particular, poor areas of towns and cities quickly became littered with the bodies of the dead and overwhelmed communities often resorted to mass burials or burning of the bodies. This had a profound effect on European cities, as the disease ravaged hole areas. 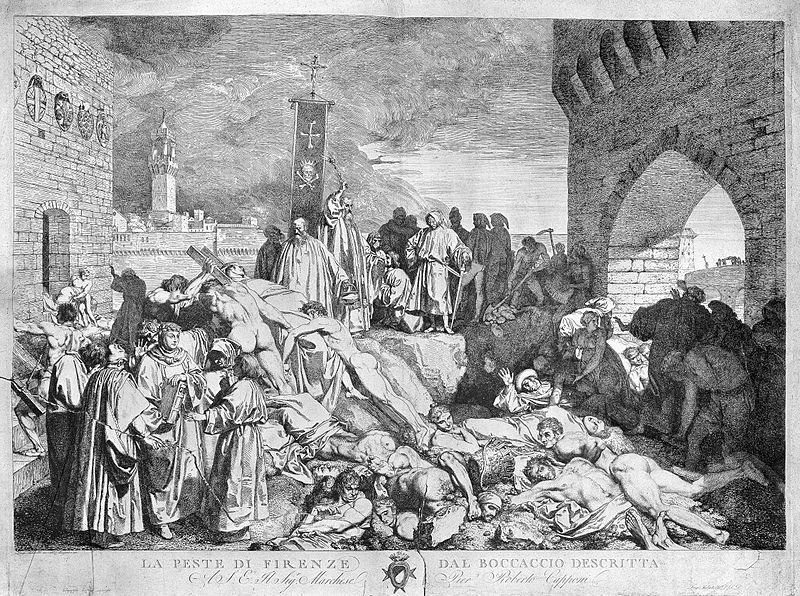 The second major impact of the Black Death was the economic loss or effect that resulted from the spread of the plague. As stated in the previous paragraph, the spread of the plague caused people to avoid crowded areas. As such marketplaces and trade in general suffered. For example, some of the hardest hit areas in Europe and Asia were trading ports along the coast of the Mediterranean. These cities were often hotbeds for the plague since this was where the rats and mice that carried the fleas arrived after having stowed away on trading ships. This reality meant that trade in these port cities slowed as merchants and traders suffered. The third major impact of the Black Death was political. The nature of the plague meant that it impacted everyone equally. It did not matter if people were wealthy or poor, the plague spread to all people of all classes. As well, the massive death tolls put massive amounts of pressure on the monarchs across Europe to deal with the crisis. This strained the political structures of many countries and kingdoms and led to political crisis. The fourth major impact of the Black Death was the effect it had on art. 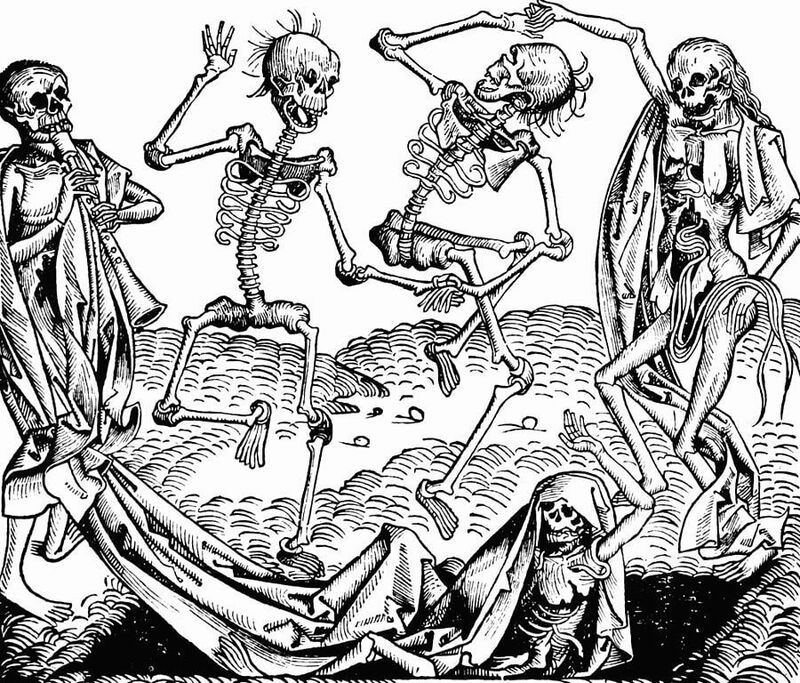 For example, the image on the side is called ‘The Dance of Death’ and was created by Michael Wolgemut in 1493. Artistic images such as this emerged out of the time period and displays the focus that art took on death, which was a common reality for the people. In all, the Black Death was an important event that fundamentally changed life for people across Europe and Asia. It was caused by the spread of the bubonic plague and caused massive death tolls wherever it occurred. It is remembered today as one of the most important pandemics in all of human history and for its role in other major events and time periods, such as: the Silk Road, the Middle Ages and the Renaissance.